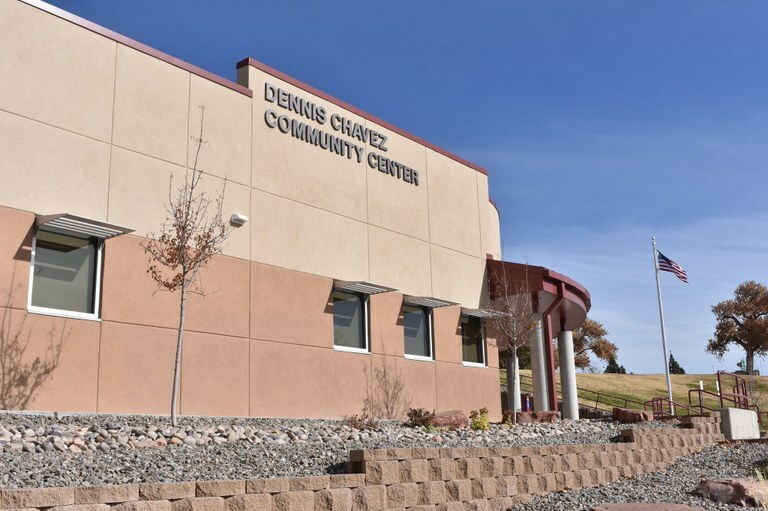 Albuquerque City Councilor Isaac Benton and The City of Albuquerque’s Department of Family and Community Services officially opened the newly renovated Dennis Chavez Community Center (715 Kathryn SE, Albuquerque, New Mexico 87102) today. The $2.9 million project increased the size of the center by approximately 9%. The newly renovated 11,750 sq. ft. center took 13 months to construct and will includes an activity room, computer lab, gymnasium, and game room for public use. Families will also be able to take advantage of After School, Summer Recreation and Family Engagement Programs at the center. “This project transforms and brings the well-used Dennis Chavez center into the 21st century to better serve the community. Nice work by all involved,” said Councilor Benton. Albuquerque Voters passed additional funds during the last election to continue with Phase 2 construction for a meeting room and a fitness room. The Family and Community Staff have already started the planning process for this Phase. The Department of Family and Community Services provides quality health and social services, housing, recreation and education to improve the quality of life for the entire Albuquerque community.